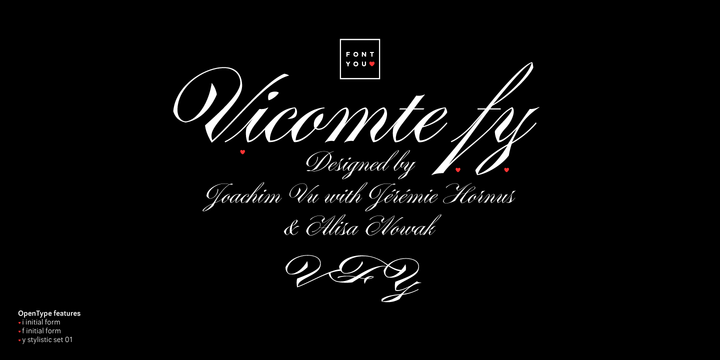 Vicomte FY is a handwritten typeface created by Joachim Vu together with Jérémie Hornus and Alisa Nowak, published by Fontyou. This elegant font is designed to invitation, wedding, packaging, romantic projects etc. It comes with Regular character set and a lot of Open Type features. A font description published on Monday, March 10th, 2014 in Fonts, Fontyou by Alexandra that has 3,504 views.